Spam, spam, spam. One cannot escape it, even in the API world. With the growth in popularity and usage of APIs has come an increase in the amount of spam generated in developer portals. Whether adding nonsensical spam to forum posts or advertising in the form of blog and documentation comments, spammers have begun to litter the developer portals of successful API programs. Now Mashery customers have a way to control the garbage created. I'm happy to announce the availability of a feature that enables our customers to moderate user-generated content (forum posts/comments, blog and documentation comments) for spam. You can use this feature by going to the Portal Settings->Content section of the Mashery Dashboard and selecting "Moderate Spam" for each content type for which you want spam managed. 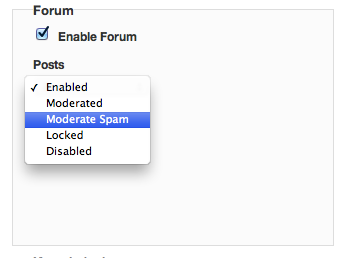 When "Moderate Spam" is selected, each piece of user-generated content, e.g. a forum post or comment, will be routed through a spam detection algorithm and if the piece of content contains what could be spam, it will be placed in a moderated state and held for review by portal administrators. Other content that passes the spam filter will automatically appear on the site.